Cornerstone offers professional counseling services for families, individuals, children and teens. People are often wondering about what to expect when they come to counseling. They are not sure what to expect of the counselor, themselves, or if the counselor has any expectations of them. We know that counseling works because research shows people who go to counseling are better off than people who don’t. 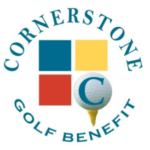 This overview was created to help you get the most out of your experience with Cornerstone. Our goal is to help you in the most effective, efficient manner possible. We use two forms to help you achieve your goals: The Outcome Rating Scale (ORS) and The Session Rating Scale (SRS). The ORS is completed prior to each appointment. This form is used as a way to gauge the past week from your perspective. This form is located in the waiting room. The SRS is completed at the end of the appointment. It is used to gauge your opinion of the session and to help you get what you want from your counselor. It is important that you provide honest feedback even if it is not all positive. If you have a broken arm or a bad cold you go to the doctor for help, to feel better, right? If you have a toothache you see a dentist, a special doctor for your mouth and teeth. Sometimes kids have problems they can’t see as easily as a broken bone or a cavity. When people have troubles with how they feel, the way the act, or the things they think about sometimes they see a counselor. This is someone who has gone to school for special training in the way people think and feel and how to help people feel better. We believe parents are the most important part of a child’s life. Parental involvement improves counseling outcomes. It is our responsibility to help your child be the best he/she can be, to help them with their development, their feelings, and to help them sort out the things in their lives they don’t understand, question or fear. We have found we not only have to support the parents, but also challenge some of their beliefs and behaviors. It is likely you will be asked to make some changes as well as your child. For a child to excel at their greatest potential parental involvement is a necessity. Parents are and will be the most significant force in a child’s life. The main thing to remember is that your counselor, teachers, and mom and dad want what is best for you; that is, for you to feel happy, be proud of yourself, and enjoy being a kid.